More Mod support is planned. Is there compatibility for the additional armor HUD provided by Rustic? 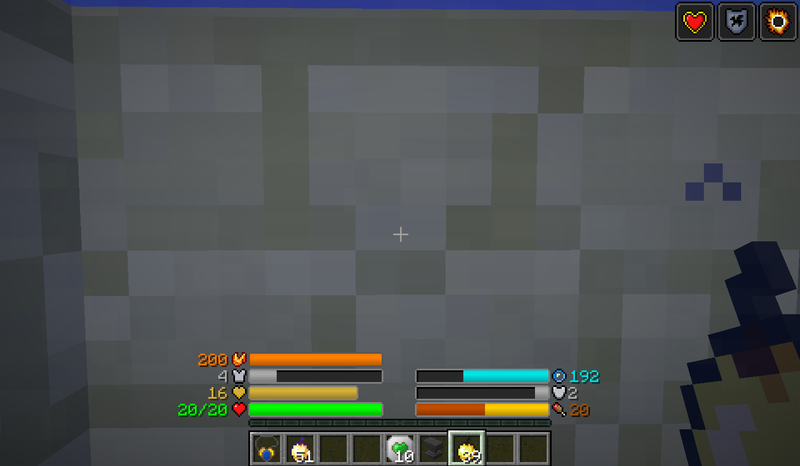 It edits the HUD to allow the armor bar to go into a second row, and shows armor toughness too, but would that be overridden by this mod? Well, can you make a new gui to the potions on screen. Right now I have them deactivated. But i like to see it in other setting, like right-bottom and smaller or anything more innovative. Can you add a attack bar? (from your fist to a sword) in attack damage? Do you think you could make this compatible with the gui from Better Diving? Right now the water bar from Classic Bars displays incorrectly if Better Diving's gui is enabled. Or instead add to the config the possibility of hide some bars. Btw, when to make the exp bar to your style. That's would be great. Sorry, can't do anything for a closed source mod. Would it be possible to add a config to disable certain bars as igoutta suggests? I seen you didn't add the temperature bar from Tough as nails. is it hard to configure into a bar? +1! A temperature bar for TAN and Heat and Climate would be great. I'm working on a good way to implement it because it can't interfere with the other bars and not be a complete mess. That doesn't fit the spirit of this mod so no. I don't know why, I am more and more disgusted with this sentence now. But work hard. Is there some key as to what bar is what? 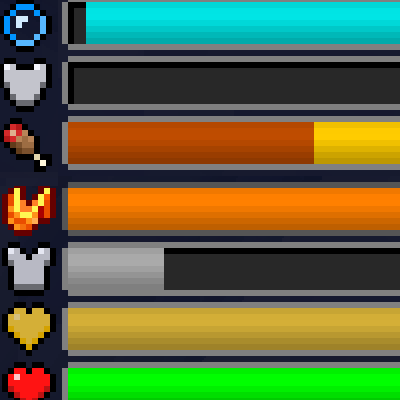 Not sure why there are two health and two armor bars. Also, if you have botania, where does mana go? There's only 1 health bar unless you are riding a mount which it's then 2 because of the mount health. The 2nd armor bar is toughness, not armor, a normally hidden attribute.